Body care is of secondary interest to facial skin care for most European consumers, who place functionality higher than other value-added features. However, the category does not lack for innovation; taking its inspiration from more sophisticated and complex facial skin care routines. According to Euromonitor International, body care sales in Western Europe approached $3.9 billion last year, an increase of just 1.6%. Euromonitor analysts blamed a decline in UK and France for the weak performance, although Germany, the largest European market for body care, grew 6.6%. Category sales in Eastern Europe were livelier, growing 10.3% to reach nearly $90 million across body premium and mass sectors. Russia, the sixth largest European market for body care, helped fuel this increase with sales growth of 22.2% in 2017. Body care usage varies significantly by country, according to GlobalData. UK and French consumers are the least likely to use body skin care, while those living in Poland and Hungary are most likely to have a regime of between one and five products. Jamie Mills, analyst, GlobalData, notes that the markets most receptive to a body care regime of six products or more are Turkey (17%), Greece (12%) and Romania (12%). Lotions and creams remain the predominant body care format in Europe, accounting for 55% of the new variety/range extension or new product launches in the year to April 2018, according to Mintel GNPD. There has also been an increase in body targeted balm and gel launches, which reached 8% and 6% of European launches in the latest period. New spray/mist products also registered increases in launches, along with body milks and mousses. “The novel feel and sensorial appeal is gaining greater appeal for Europeans,” stated David Tyrell, global skin care analyst, Mintel. Taking the trend further and into facial skin care territory is Nivea Body Mousse Deep Moisture Serum and Shea Butter, which has a melting effect on the skin that is both light to the touch and feels nourishing. Body care products containing natural ingredients are a compelling draw for consumers in the leading European markets, including France, Germany, Italy and Spain. According to Mintel, approximately three-quarters of Europeans look for products with natural ingredients and over 60% say that products with natural ingredients are better for your skin than those without. “Natural has become a new definition for safe in the eyes of many consumers and brands have directed ‘suitable for’ messaging targeted at various demographics,” commented Tyrell. Often the use of natural ingredients is linked to other claims, such as soothing or calming, which is often part of the product description used for body care products. Natural extract ingredient examples include aloe, chamomile and calendula. Sensitive skin formulations are also in demand by European consumers, with about half of consumers searching for fragrance-free body, hand and foot care products formulated for sensitive skin. “In pairing with the sensitive skin claim, Europeans look for dermocosmetic type products, along with the endorsement by dermatologists,” affirmed Tyrell. For example, 55% of Spanish consumers are more likely to choose a dermatologist-recommended body, hand or foot care product. Tyrell identified centella asiatica as a key recent ingredient that has gained hero status in recent years for its soothing properties in South Korean products. 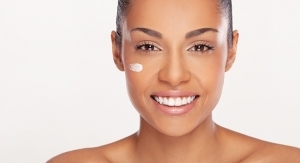 GlobalData has detected three key trends that lie behind body care innovation in Europe. Clean Beauty has its origins in the food and drink sectors and the desire for more holistically-aligned lifestyles. In beauty, consumers seek products which are naturally good for the skin and use naturally-derived actives to achieve optimum health. Mills said opportunities exist to leverage naturally beneficial and healthy ingredients found in adjacent sectors. Athleisure skin care is a trend that has tapped into the needs of active consumers and has largely been targeted at the facial area, but there are potentially far greater opportunities for pre- and post-exercise body skin care products. GlobalData has identified one such example as Kinesis Active Cosmetics Warm Up Warm Down Gradual Cream. Launched in Italy, the cream is designed for use pre-workout to gradually warm up muscles during stretching and post-workout to relax muscles and help them recover from stress and soreness. Unique textures are helping to drive excitement in a category largely associated with functional applications. 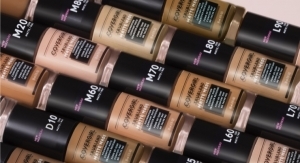 “They represent an important opportunity for body skin care brands to differentiate from a sensory perspective, but also to drive efficacy perceptions in the formulations,” said Mills. Nivea’s Body Mousse is an example of a unique application compared with traditional cream body moisturizers. The product is designed for dry skin, is quick to absorb and claims to hydrate for 48 hours. Elemis Targeted Toning Body Moisturizer is positioned as a high performance targeted body moisturizer designed to refine, tone and smooth the skin; its transformative texture transcends from a rich cream to a silky oil to encourage massage into the skin. The future for European body care products is promising with plenty of room for innovation aimed at consumers looking for a more sophisticated body care routine that addresses their wider health and lifestyle concerns.